Our test boat had an in-mast furling mainsail that eased sailhandling. The deck is crew-friendly, with effective antiskid and good grab points. The 39 DS will be convenient for a couple to manage and probably a bit more active for a singlehander because the cabintop mainsheet is several steps forward from the wheels, and the jibsheet winches. Sight lines from the helms are excellent. I liked the galley, with its L-shaped layout, open counter space, and high-quality appliances. There’s only one head compartment, a wise design choice in a boat of this size, and it has plenty of overhead clearance for tall sailors. In all, this interior is a truly pleasant environment. The only issues are that the forward bulkhead cutout leaves a small threshold in the forward-cabin passageway, and there’s a small step down going to the aft cabin, both of which could trip up the unwary. Our 15-knot breeze produced plenty of heel while going to windward; for cruising I might reduce the working-sail area before this point to keep the family comfortable. There was noticeable weather helm in puffs. The 39 DS tacked through 90 degrees in these conditions and gave a lively, fast ride at about 8 knots. The hull is not just a shortened version of the company’s original 40 DS, but comes from a completely new mold that is shared with the aft-cockpit 39i. I thought this new boat was a bit quicker than the earlier models. CONCLUSION: The hull is sturdy, the cockpit is well laid out, and the interior space is comfortable. Engine access is excellent, and the boat is capable of sailing at 8 knots. There are little things (like thresholds at the bottom of the forward bulkhead) that may take a little getting used to, but all in all, the 39 DS is a well-made mid-size cruiser that complements the Jeanneau range of deck-saloon designs. The hull is built of solid hand-laid fiberglass with ISO gelcoat and a protective barrier coat to resist osmosis and is strengthened with a fiberglass grid reinforced in high-load areas. A system of limber holes ensures that all bilge water ends up in the sump. The deck is built using Jeanneau’s resin-injection “Prisma process” with end-grain balsa core and ISO gelcoat. The electrical and plumbing lines are neatly bundled and secure. The engine compartment opens from all directions, yielding reasonably good access to the “new-generation” Yanmar diesel. Like all jeanneau boats, the 39DS is built in their factory in Les Herbiers, France. 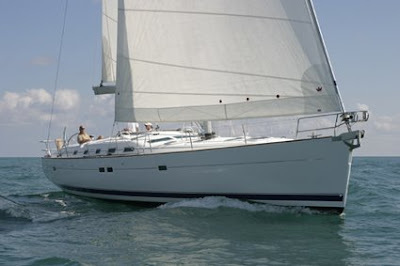 Price: $176,300 (FOB Annapolis, MD) includes in-mast furling mainsail, 122% jib, standard winches, windlass, ground tackle, 6 mooring cleats, and teak interior. 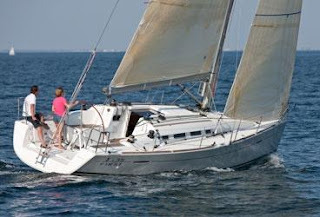 I’m trying to decide between a Jeanneau 39i and a Beneteau 40, which is proving tough. I’m hearing different things from different people about each of the boats’ strengths and weaknesses. Can you provide an independent opinion? I’d be very grateful.